A place or situation, where you feel alone, helpless and cannot escape, especially on an island / to abandon or leave without aid or resources / isolated without resources. E.g-1. The chaos began after a peaceful protest by some of the thousands of migrants marooneds in Mexico. 2. Four years later her father was killed, leaving her culturally and emotionally marooned. 3. 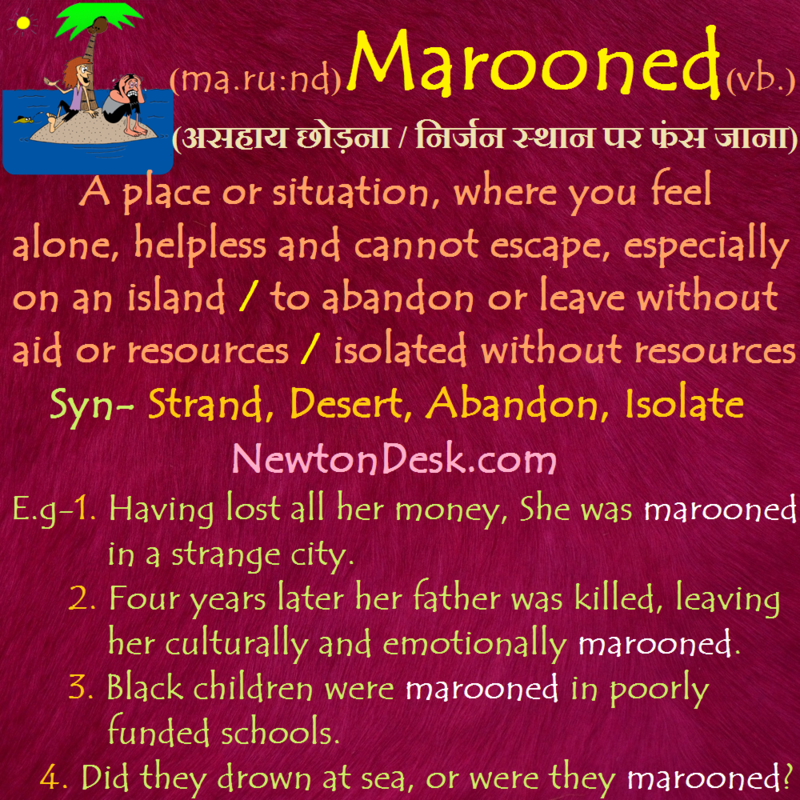 Having lost all her money, She was marooneds in a strange city. 4. Black children were marooneds in poorly funded schools. 5. Did they drown at sea, or were they marooneds? 6. The script leaves many good actors completely marooned.